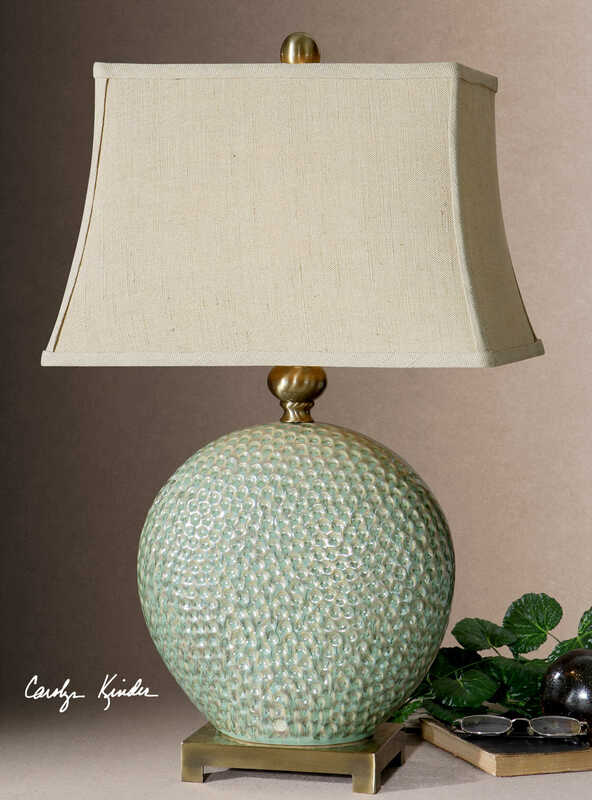 Designed by Carolyn Kinder International, the Destin Ceramic Lamp has a pitted ceramic base finished in a dripped aquamarine glaze with tan undertones and brushed coffee bronze metal details. The rectangle bell shade is a khaki linen fabric with natural slubbing. Available to trade professionals at Uttermost.com. For retail purchase Google keyword “Carolyn Kinder Destin Ceramic Lamp”.